Name: Trevor Williams. Tank Details: TropiQuarium 55. 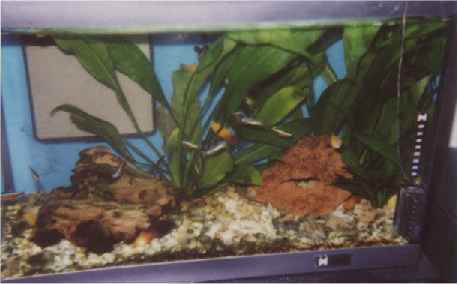 The Fish: 6 Cardinal Tetra, 6 Sunset Platies (+6 fry), 3 Otos (Otocinclus flexilis), 2 Bristlenose Catfish, 1 Apple Snail.